Lately, when I look around at the world I see a lot of uncertainty, greed, pain, and horror stories that sometimes make me lose faith in humanity. Over this past week, not only has my faith been restored in humanity, but it has been restored in the spirit of giving during a holiday season. 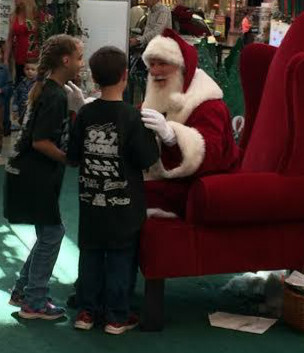 I’ve been seeing a lot of stories that people have shared where they’ve had an awesome experience with Santa Claus, and I’d like to share our 2015 Santa story with you. Both of my children have special needs, and each year we visit our local mall to share our family’s story with a local radio station that raises money for the hospital where my children receive their outpatient therapies. Usually the show is broadcast either next to or across from Santa’s village in the center of the mall. This means that as soon as we are done visiting our friends to catch up; we make sure to stop and visit Santa to take our yearly photo. My daughter, who is multiply disabled, usually is hesitant as we are closer to our turn with Santa. This year she was especially apprehensive. As we got closer to our turn I realized that the Santa we’ve seen since our children were both babies was not sitting in the chair. We wonder now if in her beautiful mind she noticed this impostor and just was trying to stop me from going near him. Now, I can normally walk behind her and gently convince her to eventually go sit and talk with Santa, but she was really digging in her heels this time. As I was softly speaking to her convincing her it was alright, I continued gently nudging her toward Santa. I noticed that as she got closer, her body grew less stiff. I especially noticed Santa’s warm smile as he scooted over in his seat for her to sit next to him. He patted on his chair and gently said, “Do you want to sit next to me?” Much to my surprise, with a huge smile and with no more hesitation what so ever she went right over and sat next to him. After all photos were snapped, we were given the okay for the children to go. Santa gently leaned down and softly began to speak to them both. My daughter who is not very verbal began telling him exactly what she wanted. As she spoke to him she began what we call “flapping” – which she always does when she is excited. With every flap (and even though I am positive he couldn’t understand everything she was saying) Santa clapped and smiled gently asking her if she had anything more to tell him. He then turned to me with a huge smile on his face and gave me a thumbs up. Since we were all wearing the shirts that coincided with the children’s hospital and radiothon along with her basic body language and speech, I am pretty sure Santa knew she had special needs. However, I am positive with everything that is in me that this particular Santa would show this same amount of respect and patience to any typical child who was fearful of approaching him. While standing on line to pay for the pictures, I realized that even with the mall’s discount there was no way I would be able to afford the amazing photos that Santa’s helpers took. My husband started a new job this year. With this position he will eventually work his way up in the company. However, this year we’ve had to take a major pay cut and sincerely are on a strict budget. As I was trying to hide my disappointment and as tears slowly began to stream down my face, I noticed my mother-in-law coming over with her phone ready to show me the pictures she was able to take. We talked about how at this point that even if we couldn’t afford to show our friends and family the actual photos that Santa’s helpers took, I would still have a way to share our experience none the less. Later on that night I received a private message from a friend that I promised not to name but will call “Our Christmas Angel”. 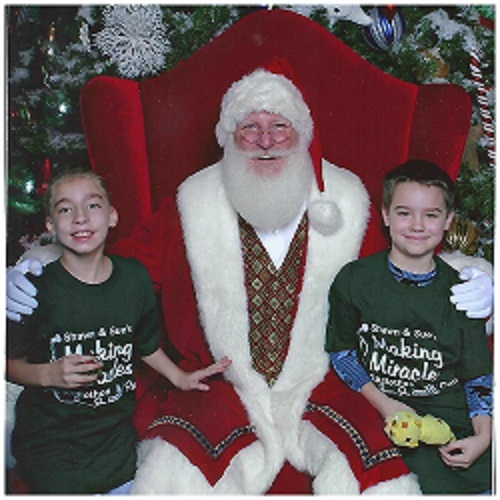 She said not only did our story touch her heart, but that she forwarded it, along with the pictures we had, to Santa. She said that we needed… and will have… those pictures. At first I was hesitant because I’m usually the person, no matter what my situation is that just wants to give. I love giving but I am not good at receiving anything. I feel that I’ve been given everything in my life that I truly need and things that I want are just happy extras. Not to mention that I truly just wanted to praise this man for how wonderful he was with my children. I just wanted to show people what we were able to witness, and honestly I was grateful to just have our pictures. 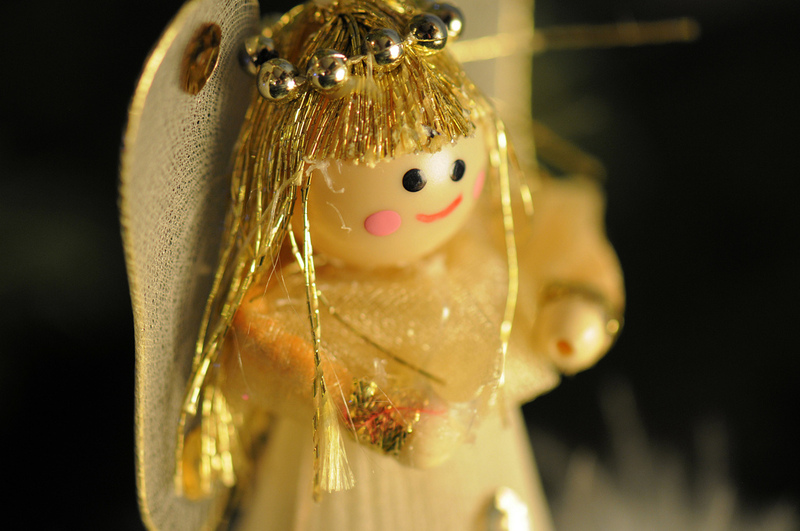 After messaging back and forth for some time, I really felt that I would offend my Christmas Angel to not let her do something she felt she needed to do for us. Tonight we went to the mall to pick up the pictures, and while this Santa (whose real name is Jim) had not been there, his helpers couldn’t wait to tell us how touched he was by us. One of the girls handed me an envelope and at first I thought there was a mistake. While we were expecting to have one or maybe two sheets of pictures…There were nine sheets all with different sized photos! Not only had my friend (and we now believe Jim) purchased our pictures, but they did it in such a way that my husband’s and my parents will be able to have copies. Also, I am not only going to be able to send one to our Christmas Angel, but one of the helpers told us how to send it to Santa Jim! This holiday season, no matter what it is that you celebrate, make it the best you have ever had! From our home we would like to say Merry Christmas and Happy New Year! Be well, and be a blessing because I am a firm believer in Karma; I promise when you bless others you will always be blessed in return. Have a story to share NJ?